Cape Cod Veterans and their Families! Attention collaborators and members, click here to get your web badges. Applications are available for OIF/OEF Veterans of Cape Cod (Born, Raised or Currently serving on Cape Cod) for post-secondary Schools. SAVE THE DATE: September 12, 2019 – 8th WOUNDED WARRIOR PROJECT SOLDIER RIDE - FALMOUTH- Returning again to the Cape! The Falmouth Ride will be on Thursday, September 12th, the soldiers will ride Falmouth's Shining Sea Bike Path from North Falmouth to Woods Hole and back. On Friday, September 13th the Warriors will ride on a special route in Yarmouth. The Falmouth Military Support Group is again coordinating the logistics and planning for the Falmouth ride. Please reach out to us if you would like to help. Raised more than $325,000 to support our cause. 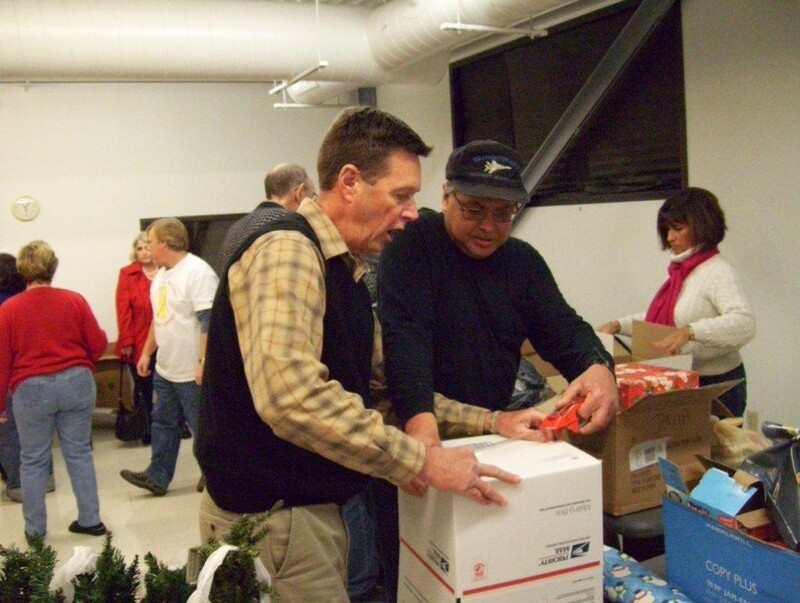 Mailed over 5,000 packages to over 500 area service members that have served abroad in Iraq or Afghanistan since 2003. Have had a community letter writing campaign 2003-2015 so that our deployed would receive letters of encouragement and support from local and visiting citizens. Hold family support meetings, originally weekly and now monthly, 2nd Monday of the month, except holidays, at the Gus Canty Recreation Center, 790 E. Main St., Falmouth, MA at 7:00pm. Given over $32,000 in post-secondary scholarships to our returning Cape OIF/OEF Veterans in the last few years. 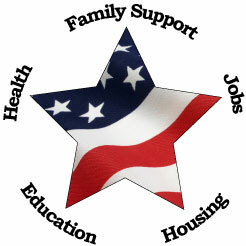 Have given gift cards and support to service members after their return from overseas duty totaling more than $100,000. Have had numerous speakers and groups on varying topics for Veterans, family members and friends over the years. 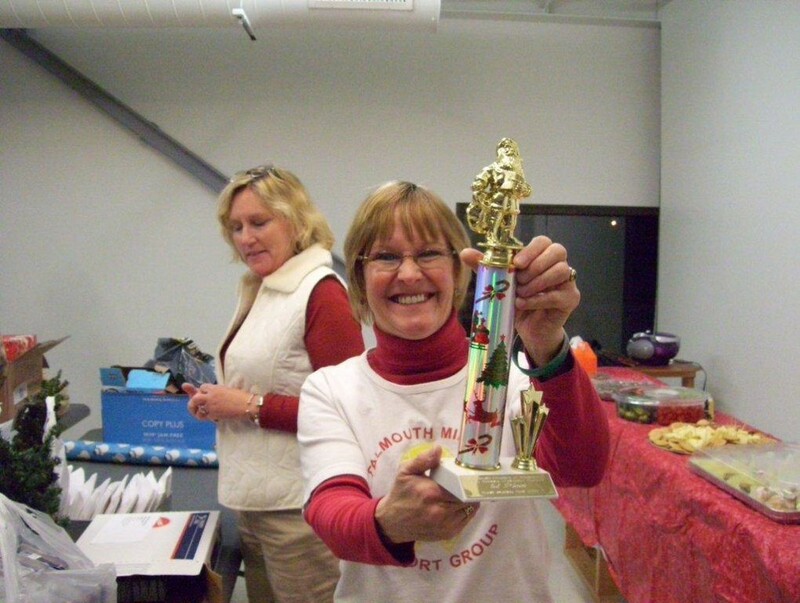 Participated in many community events honoring and supporting service members, The Falmouth Walk, The Cape Cod Marathon, The Falmouth Road Race, The Polar Plunge for the Troops, The Alternative Gift Fair, The Cape Cod Trail Race, The WWP Soldier Ride/ Cape Cod, Scouting events, The Falmouth Christmas Parade etc. Have received many community awards, commendations, recognitions, support and letters of appreciation over the years. “Cell Phones for Soldiers” collector, in return provided AT&T phone cards to our deployed. Provided and maintained “Yellow Ribbons” around the Town of Falmouth and service members homes since 2003. 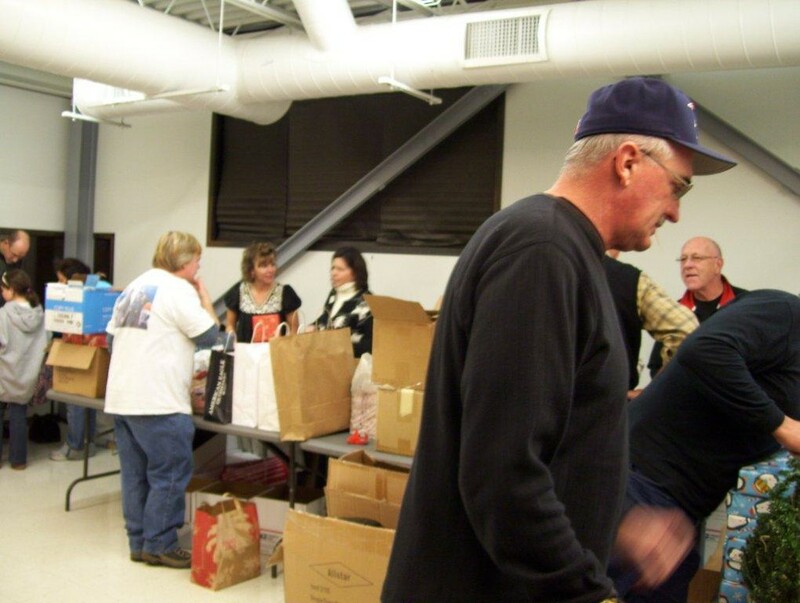 The Falmouth Military Support Group is a non-profit 501 c 3 organization staffed and managed entirely by volunteers. We were founded in 2003 and organized exclusively for charitable purposes. 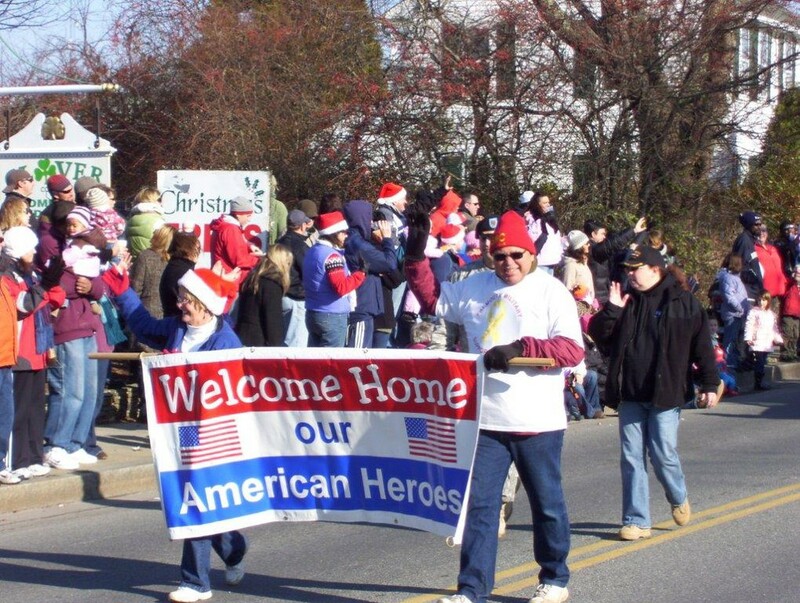 The original mission of Falmouth Military Support Group’s was to provide moral and physical support to our areas service members serving in combat in Iraq and Afghanistan and also when they returned home. We mailed comforts from home and encouraging mail on at least a monthly basis to our “kids” serving overseas. We also provided support for their families and friends by providing a meeting place where we can all gather in support of each other. With the end of the combat tours in Iraq and Afghanistan in sight, it is fitting that the mission of the FMSGrp be modified and redefined: Our Mission to support our local troops deployed during these engagements has been modified to support local troops and their families who have returned from Iraq and Afghanistan. This will include assistance in connecting with Veterans services as well as assistance with their continuing education through an annual scholarship fund. The FMSGrp will continue to honor Veterans and offer support by providing resources for OIF/OEF individuals and their families to address the needs of our returning Veterans and their reintegration back into family life and our community. We will continue our visibility to serve veterans and their families through our representation on the Falmouth Veterans Council, Cape Cod Military, Veteran and Family Collaborative, and other organizations and events that support Veterans. We also will continue to hold a support meeting for family and friends of OIF/OEF Veterans. 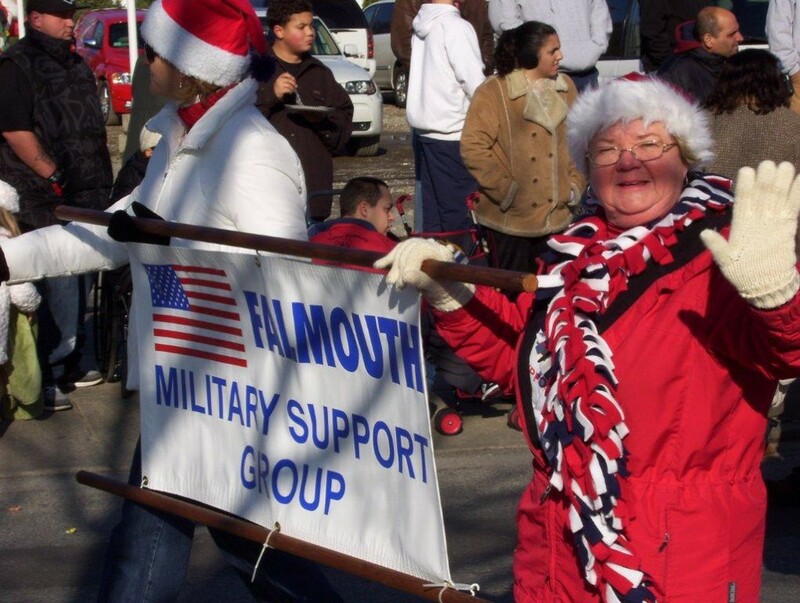 The Falmouth Military Support group was formed in March of 2003 at the start of the Iraq War. 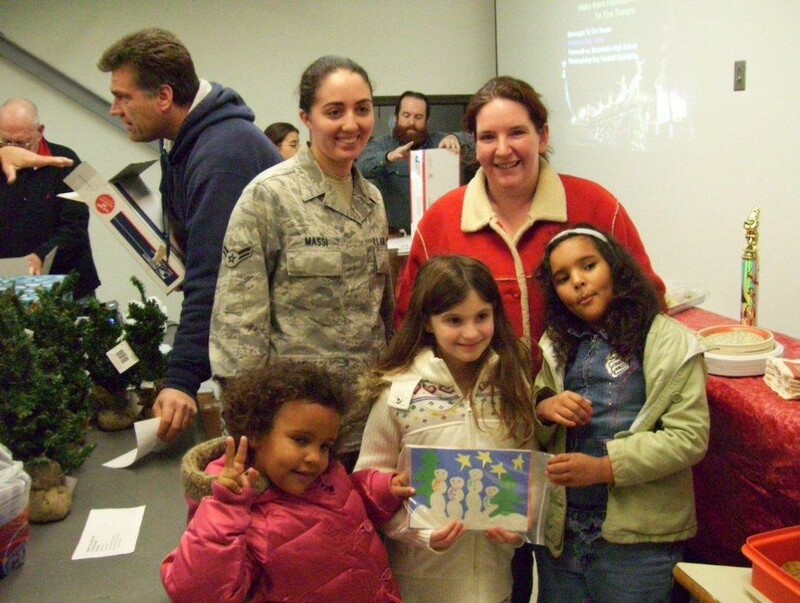 Two mothers from North Falmouth wanted to get together with other families to talk, and support each other while their children were deployed. 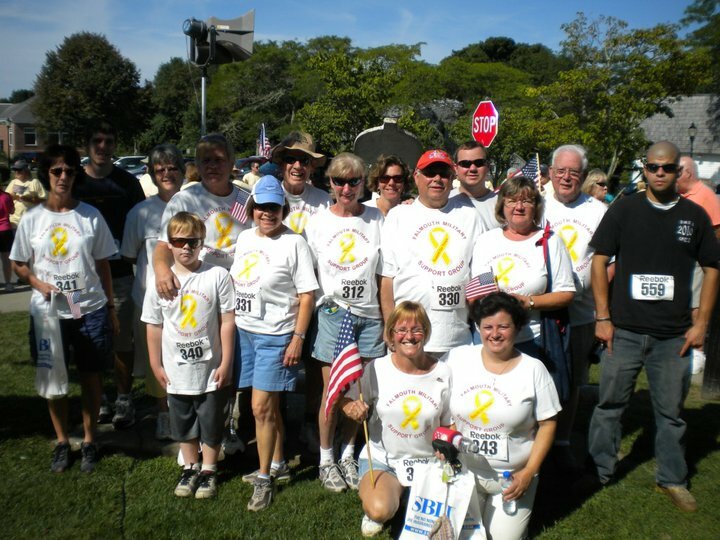 It wasnï¿½t long before the small group decided to make yellow ribbons to hang around town as well as collect items and donations to send to the troops overseas. We currently hold a family support meeting, monthly, 2nd Monday of the month, except holidays, at the Gus Canty Recreation Center, 790 E. Main St., Falmouth, MA at 7:00pm.